Paperio offers sleek and modern, polished and technologically sophisticated, user friendly and easy to read attractive blog styles, featured post sliders, latest / popular post styles, header and footer styles, different sidebar styles and more to make your blog outstanding with clear content, stylish, highly visible to search engines and extra ordinary fast in page loading. Minimal, simple but still creative and highly flexible blog WordPress theme. 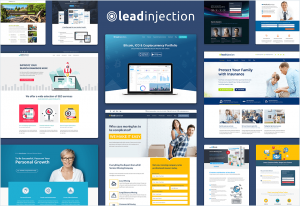 7 ready demo styles for different purpose blogs like interior & home decor, restaurant, food & recipe, art, portfolio and photography, travel & adventure, fashion & lifestyle, business & technology and news & magazine. Highly responsive and retina ready theme to make it look beautiful in all devices including desktop, tablet and mobile. Pagination styles with prev / next, numbers and indefinite scrolling with AJAX loading. In-built Megamenu with sub menus and banner images as well as direct posts in the menu. Stylish hover effects on images, buttons and links. Contact Form 7 ready and compatible. Mailchimp newsletter subscription ready and integrated. 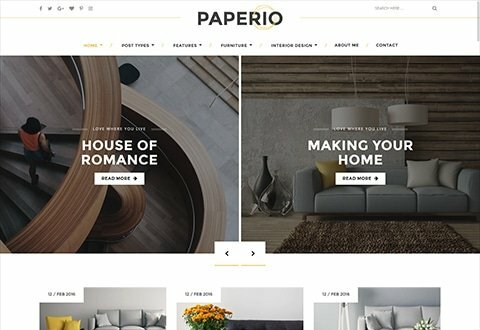 7 unique and extra-ordinary homepage blog listing styles. 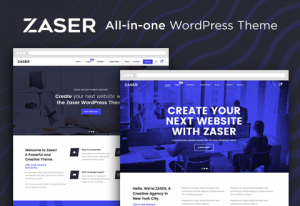 WordPress in-built customizer with 400+ options to achieve maximum theme customization possibilities. Codebase is purely done with WordPress standard practices, well structured, commented and optimized for page speed as well as easier to further customize by a WordPress developer. Sticky and non-sticky header options. Homepage featured area with 5 neatly structured and modern slider styles to highlight posts. Latest/Popular post block with 2 clean and polished grid / slider style. Various layouts like no sidebar, right sidebar, left sidebar and both sidebar. Masonry, grid and list styles with adjustable columns. Image meta data settings to switch on / off alt and title as well as on / off title and caption in lightbox gallery. All post types integrated well like standard, image, gallery, slider, quote, audio and video. Promotional block shortcode to showcase promotions. Hide / show most elements and further customization options in WordPress customizer. Social media icons in header and footer. Social media sharing for post pages. 5 attractive and user-friendly header styles with logo, social icons, navigation menu and search field. 2 well organized footer styles with custom sidebar insertion and social icons, copyright, instagram feed, twitter feed, newsletter box, latest posts, about and tags. Child theme included for advanced theme customizations. A mostly used and required feature of one click demo import to import your desired demo with only one click. Sidebar setting is available for overall website as well as it can be setup at page and post level also. Exclude posts which are available in featured slider and popular block in homepage to avoid post duplication. All in one SEO and Yoast SEO compatible. W3 Total cache plugin ready. Visual Composer drag & drop editor compatibility. Mailchimp for WordPress compatibility and design ready newsletter blocks. Built with Bootstrap, HTML5 and CSS3. Text based Font Awesome icons. Built in you may also like posts from the same category. Coming soon and maintenance mode feature. Header background and body background image supported. Overall theme is well tested in all devices (desktop, tablet and mobile) as well as various browsers (IE 10+, Chrome, Firefox, Safari and Opera also) to make sure it works and looks better everywhere. Detailed documentation and video tutorials to make it easier to explain theme features and options to have your site layout ready in few minutes. Quick and responsive 5 star support from highly experienced team of our experts.